This Mazda3 GT comes with a 2.5L 4 cylinder engine with cylinder deactivation for improved fuel efficiency during low load driving. 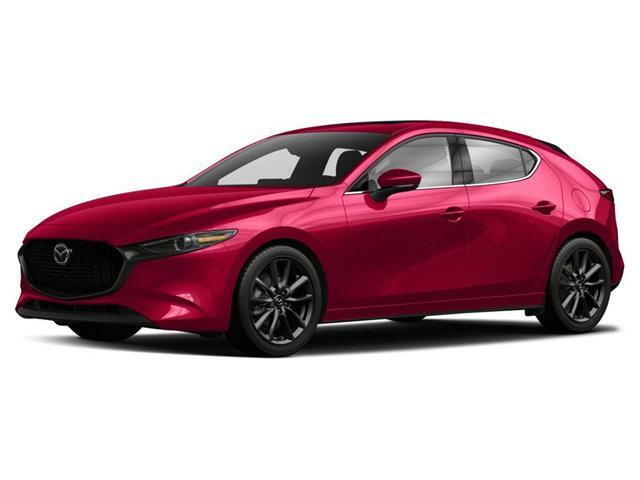 This Skyactiv-Drive 6 Speed Automatic transmission has a manual-shift mode and paddle shifters to give you options should you want to take control of gear shifting. 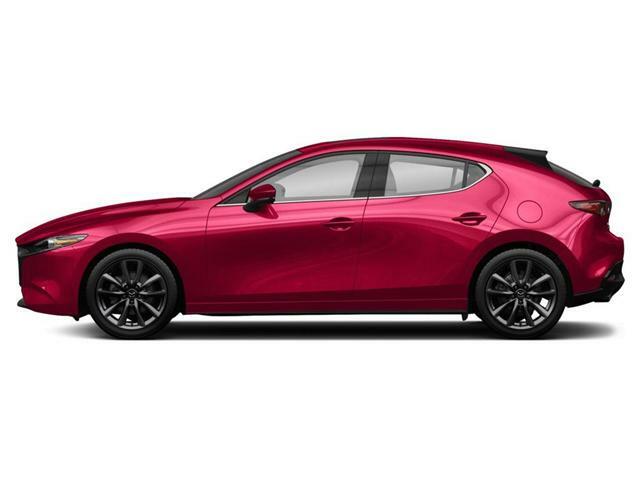 With leather trimmed upholstery, a 10 way power adjustable driver seat with lumber support a Bose Premium audio system and the quietest cabin of any Mazda ever made, this vehicle creates the perfect environment for you to enjoy every second of the drive. For the first time this Mazda3 is equipped with i-Activ AWD which uses 27 sensors that monitor everything from acceleration to braking patterns and predicts when you will need better grip and only delivers traction when it is needed, resulting in a sure-footed drive while maintaining exceptional fuel economy. The Premium Package places this vehicle on top of 18" inch alloy wheels and equips it with Smart Brake Support Rear (SBS-R), Smart Brake Support Rear Crossing (SBS-RC), rear parking sensors, navigation and a windshield-projected colour Active Driving Display with Traffic Sign Recognition. The last of these technologies projects crucial information such as directions, speed limits and your current speed onto the windshield, right where you can see it while also allowing you to maintain focus on the road. Advanced keyless entry and a Homelink wireless control system make getting into your car and parking it in the garage a quick and easy process. This Mazda3 Sport also comes equipped with a suite of Mazda's i-ACTIVSENSE proactive safety technologies including Mazda Radar Cruise Control with Stop-and-go functionality, Smart City Brake Support (SCBS), forward Pedestrian Detection, Lane-keep Assist (LAS) and Lane Departure Warning (LDWS) and High Beam Control (HBC) which automatically dims your high beams when approaching oncoming vehicles to avoid blinding oncoming traffic. Heated exterior mirrors and rain sensing intermittent wipers ensure that your vision is never obstructed whether you are driving in rain or snow.